BusBoss is pleased to introduce the Geotab fleet management solution from HighPoint GPS, designed to optimize routes, monitor speed and idle times, and alert districts when vehicles need maintenance. With Geotab on your bus fleet, you'll get enhanced driver safety and productivity, lower fuel and repair costs, insurance discounts and more. Click here for more info. TomTom Telematics provides school bus tracking and navigation, fully integrated with BusBoss. Dispatch BusBoss routes to PRO driver terminals installed in your vehicles with the click of a button. Drivers are notified and rerouted when routes change. The integration reduces travel times, mileage, fuel consumption and working hours. Overlay the planned and actual route to verify compliance. Real-time alerts provide notification of route deviations, excessive speeding, unauthorized stops and idling. Click here to contact them. Synovia Solutions works with schools, districts, municipalities and private industries to apply its unique and cost-effective GPS vehicle tracking technology to various applications. If you are interested in discussing how Synovia Solutions helps you maintain better control over your fleet management using real-time GPS vehicle tracking, please Click here to contact them. Zonar Systems provides electronic fleet management inspections, tracking and operations solutions used by the full range of public and private fleets. Their unique “Inspect, Track, Know” approach enables your fleet management operations to achieve unprecedented gains in efficiencies, cost savings and environmental impact. Click here to contact them. 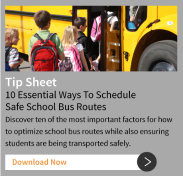 BusBoss is proud of its partnership with SafeStop, the industry’s premiere school bus tracking app. SafeStop gives parents, educators and transportation professionals real-time information on bus location and arrival times, as well as updates on delays and school closings. Click here to contact them. When you work with BusBoss, you’ll also get access to our partners at PowerSchool, the global leader in student information systems, or SIS. This unique education technology platform helps adminstrators, teachers and parents with everything from budgeting to lesson plans to assignment notifications. PowerSchool supports millions of students in 70 countries around the world, and is the fastest growing program of its kind. Click here to contact PowerSchool. Skyward’s solutions are used by more than 1,900 public sector organizations worldwide, from small entities to statewide implementations supporting millions of stakeholders. Through a unique approach that blends thought leadership, best practices, and advanced technology, Skyward is redefining what it means to be a strategic partner in the world of enterprise solutions. To learn how Skyward is delivering a better SIS and ERP experience, click here to contact Skyward. Whatever their differences, parents, teachers and school administrators all want the same thing: to give kids the best education possible. That’s why BusBoss offers its customers a chance to access eSchoolPLUS by PowerSchool. This intuitive, secure and scalable student information management system is designed to simplify the thousands of tasks performed by school districts each day, freeing school personnel to focus on learning and achievement. Click here to contact eSchoolPLUS. BusBoss has joined forces with the The National Association of Pupil Transportation (NAPT) to offer its web-based business intelligence portal and data-driven decision-making (3D) project, otherwise known as Apollo, to customers. A free 3-month trial is available for BusBoss customers. This subscription-based service was created by NAPT to help school transportation directors and business officials make crucial decisions about equipment, training, and more. 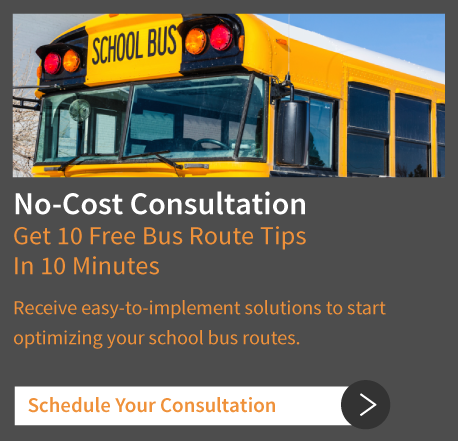 NAPT and BusBoss have developed an API (application platform interface) that allows customers to upload BusBoss routing information, see metrics and dashboards for your district, compare data and colloborate with a peer districts. Click here for more information. 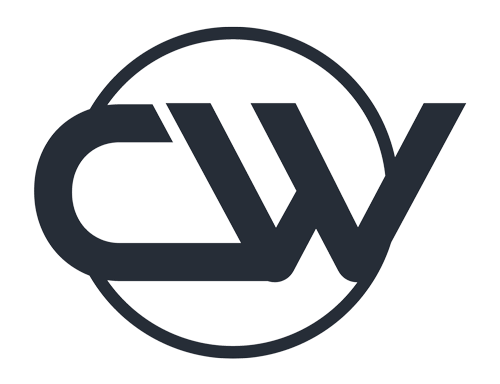 Whenever a problem arises, CapWorks’ tools will diagnose whether the cause is a lack of capital – like not enough funding, a shortage of skills or staffing – and work with clients to develop the capital needed to resolve that problem and improve performance. CapWorks’ analytic and diagnostic tools allow us to take a holistic view of a district’s metrics, from gas, to drivers’ salaries and beyond, so that we can make sure a fleet of buses is being used efficiently. Find out how this tool can help your district manage its crucial capital. Click here for more information. For more than 25 years, Blackboard has helped schools by offering a powerful communication platform with a full range of options to address the unique needs of your district. Blackboard Communications provides emergency messaging, language translations, surveys and surveys, all with the aim of giving your school a proven, easy-to-use tool that gets information to the people who need it, when it’s needed. Click here for more information. Click here to contact the SIF Association.